It’s been a busy few weeks for the Legacy Libraries, with a whole bunch of projects recently completed plus a number of fascinating new ones now underway (more on those later in the week). Today I’ve got a rundown of recently-finished libraries, plus a trivia question for you which I’ll answer at the end of the post: which novel is held in common between five of the seven? James Joyce. One of the longest-running Legacy projects, James Joyce (started back in 2008 by rfb) was recently brought as near to completion as currently possible by BuiltByBooks, who added extant copies held at the Harry Ransom Center and the University of Buffalo, as well as a number of additional books identified through catalogs and other sources. The Joyce library now includes some 1,175 titles: see the author cloud or the tag mirror to get a quick sense of Joyce’s books. More titles will be added to this library as they are identified (there are certainly lots more out there: we know that Joyce parted with some 2,000 books in Paris in 1939, and most of those have not yet been identified specifically). There’s a great deal of information about Joyce and his books on his profile page; the story makes for fascinating reading! If you have information about Joyce books not included in the LT catalog yet, please let us know in the discussion thread. 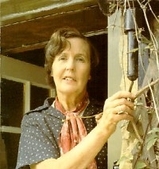 Barbara Pym. Thanks to alison_felstead, LibraryThing now includes the library catalog of British novelist Barbara Pym (author page). Pym, known for her novels Excellent Women and Quartet in Autumn (among others) was described in a 1977 article by Philip Larkin and Sir David Cecil as the most underrated writer of the twentieth century. Pym’s 590-title library was cataloged by her sister Hilary Walton after Pym’s death in 1980, and the records are held at Oxford’s Bodleian Library. Those have been augmented in the LT catalog with information from Blackwell’s Rare Books catalogs (through which much of Pym’s library was sold in 2005). Alison, who works at the Bodleian Library, will be speaking about the Pym Legacy Library project at the Barbara Pym Society’s annual conference at the end of this month (see the program here), so if you’re in or around Oxford, be sure and go see her presentation! Harry Truman. Another long-running project recently completed is the library of Harry Truman, begun back in 2008 with a section of books from his home study. This summer I cleaned up the existing records and completed the cataloging of the home study collection (now numbering 833 titles), and then a number of volunteers jumped in to help out in adding books from Truman’s post-presidential working office (795 titles). Thanks to mrmapcase, cbl_tn, Michael.Rimmer, pussreboots, Kaczencja, WillowOne and waitingtoderail for their good work on this library. If you have information about other Truman books we should add, let us know here. Note that certain books in the Truman library (mostly in the home study collection) post-date Truman’s death, and were likely added by Bess Truman. To what extent the books listed there belonged to her is somewhat unclear, and we’re seeking additional information from the National Park Service to help us try and clarify that. William Makepeace Thackeray. The library of author William Thackeray (known for Vanity Fair) originally intrigued BuiltByBooks during his work on the Leonard & Virginia Woolf library, which contains a volume from Thackeray’s collection. 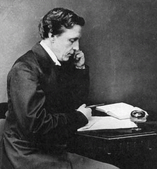 He tracked down an 1864 auction catalog of Thackeray’s books and added to LibraryThing 391 titles that were identified in the catalog. A whole bunch more listed there cannot be identified specifically, as is often the case with such sales … but Thackeray’s books were marked with a small oval stamp containing his initials, so we’re hopeful that perhaps other books will turn up. If you have information about any additional Thackeray titles, please let us know here. Dwight D. Eisenhower. Back in May we started a flash-mob project to catalog the library of Dwight D. Eisenhower (or, at least, those portions of Eisenhower’s library located at his farm in Gettysburg, PA). We zipped right through it, and the LT catalog now includes some 904 titles covering all sorts of different subjects, from humor to mysteries to biographies (check out the tag cloud). There are more Eisenhower books to be added from other locations, and we will add those later on as the source material becomes available. Thanks to all those who helped out with this library: KCGordon (who also sussed out the source list for us), cpirmann, tortoise, Esquiress, mrmapcase, jcbrunner, buk1968, and waitingtoderail. George C. Marshall. Nearly 900 titles from the library of American military commander and cabinet secretary George C. Marshall were recently added to LibraryThing by KCGordon, who obtained a list of the books in the collections of the Marshall House (previously known as Dodona Manor) in Leesburg, VA. Lots and lots of history, military, and government books on Marshall’s shelves, as you might expect, but he also had a fair number of humor books, French literature, and poetry titles as well. With whom does Marshall share the most books in common? Why Ernest Hemingway and Carl Sandburg, of course. A huge thanks to all the volunteers who have worked on these libraries! As I mentioned at the top, there are a number of new, exciting Legacy projects being worked on now, but I’m going to save those for another post since this one’s gotten fairly extensive already (I’ll be posting about completions more frequently in future, so we don’t run up quite such a backlog—my apologies). But I did promise an answer to the trivia question: which novel is held in common by five of the seven newest Legacy Libraries? Drum roll please … the answer is Jane Eyre, copies of which are to be found in the libraries of Pym, Eisenhower, Joyce, Carroll, and Thackeray. See other books these libraries share, or take a look at the books you have in common with them here.